Stepwell or Bawdi are ancient wells which can be described as a small body of still water that is manmade or actually a pond where the water is found by stepping down a few steps. 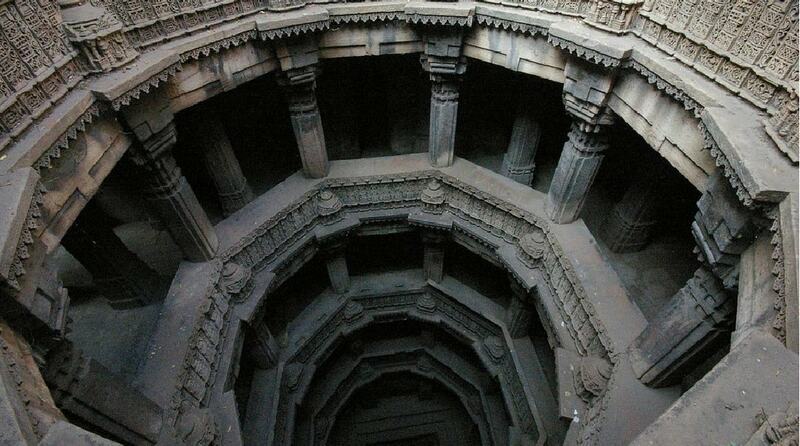 Bawdi is another name for step wells or a common name given by villagers which is largely in western India. They are durable for long lasting requirements of water for the people living nearby these Bawdis. Bawdis also worked as social assembly areas in ancient times as it acted as a landmark for local townsfolks to often gather. They can be largely seen in Parts of North Karnataka (Karnataka), Gujarat, Rajasthan, Delhi, Madhya Pradesh and Maharashtra. These cities actually describes what stepwells meant for Indians. 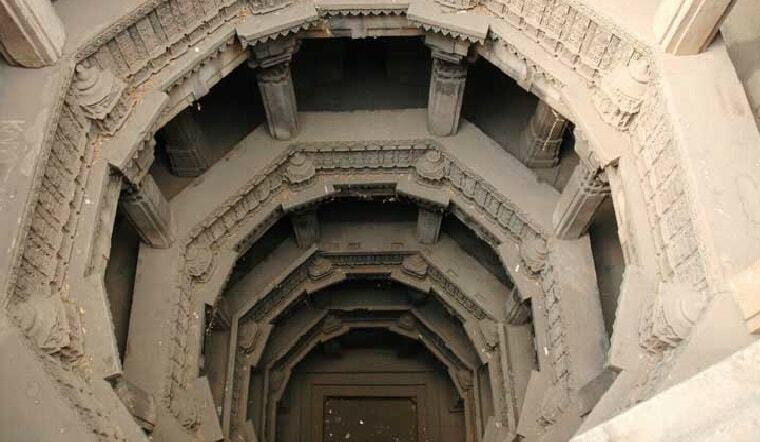 The most prominent and distinctive Bawdi because of its depth.This stepwell is well known for its colossus structural view and enormous size which attracts most of the people . First look of this Bawdi leaves you astonished and the best part is that it’s well maintained since decades in India. This Bawdi can be often seen in most of the Bollywood movies. The enormous size of this Bawdi attracts a lot of Travellers. The construction and formation of this Bawdi is distinct from others. The vav is an illustration of Indo-Islamic architecture and carvings. 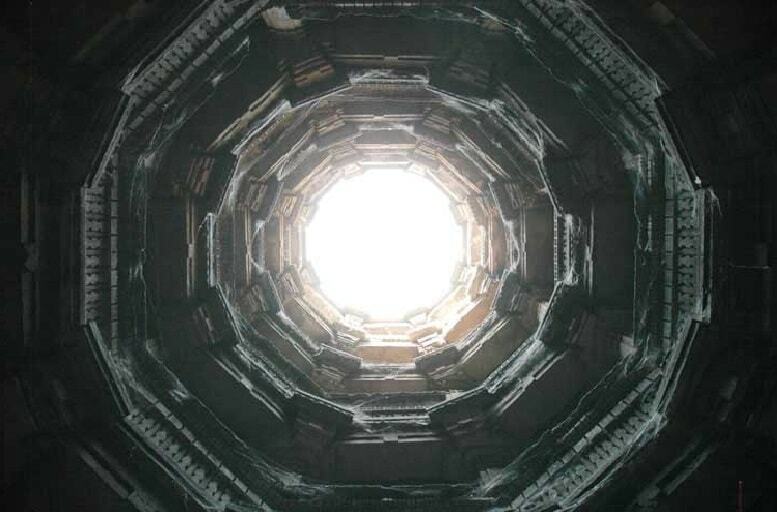 The architecture of the Adalaj Vav stepwell is not just of cultural significance , but also a pursuit of spirituality. 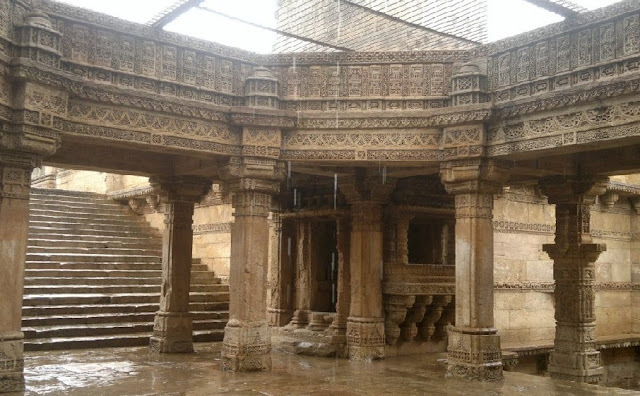 It is located in the peaceful village Adalaj and is an eminent structure of its own kind as it has served neighbour places since decades. There is an opening in the ceiling above the landing which allows the light and air to enter the octagonal well and also connects it to direct sunlight. This is situated in the capital city of the country, New Delhi and that's the reason this Bawdi is quite famous in bollywood and got attention in Aamir Khan’s recent movie PK. 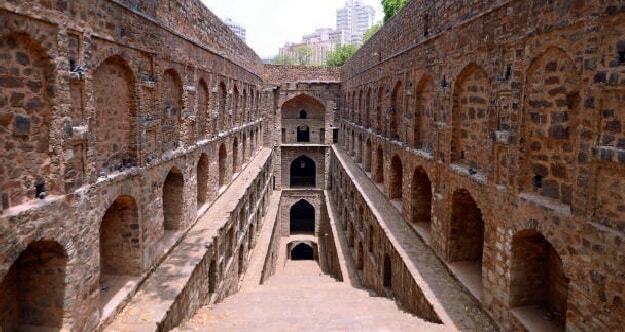 It is actually located in the high-rises near Connaught Place, New Delhi. This Bawdi becomes more popular spot in the long life. The secrecy it sworns in ancient times and the mysteries in its depths will never be revealed by you until you visit this Bawdi.Its rectangular in shape and one of its kind. 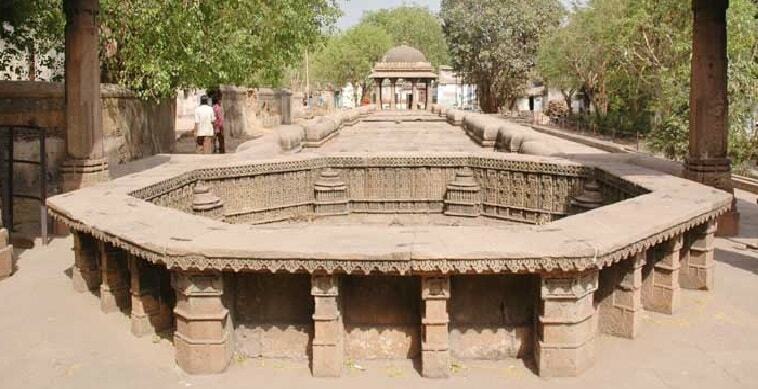 As the name suggests this Bawdi was specially constructed for queen by Rani Nathavati ji she was the younger queen of the ruling king Rao Raja Anirudh Singh of Bundi . 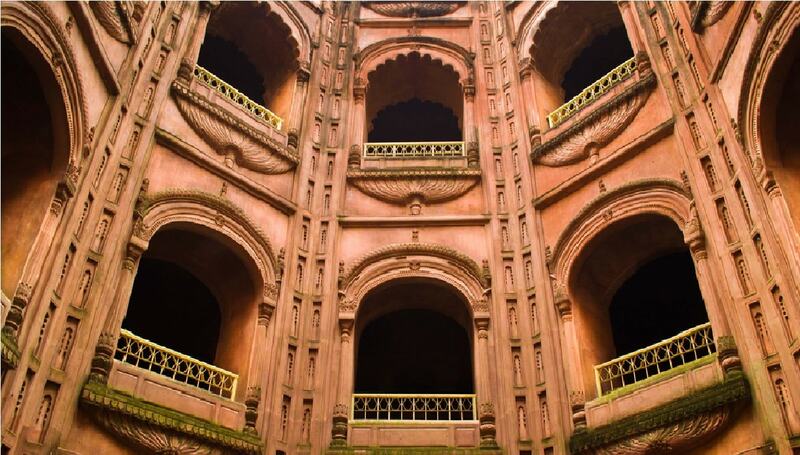 It is well known for its entangled carvings and tricky art on its pillars and high arched gates. Situated in Bundi town in Rajasthan, this Bawdi is a multistoried structure with places of worship for people to pay homage on each floor.Its depth is 46m and is decorated with brilliantly covet pillars. 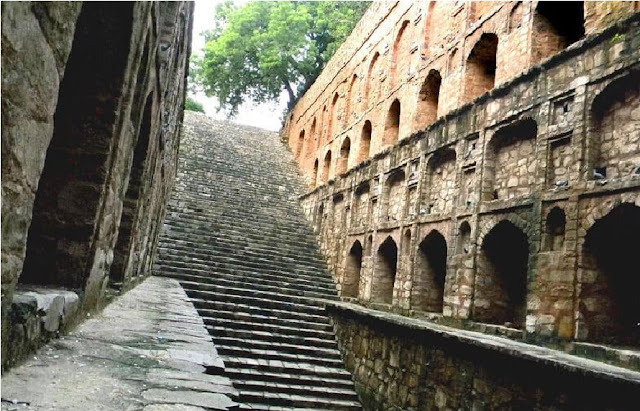 The Bawdi is gothic of structures and designs. South India has its own stepwells to add to the cultural heritage of India and the Hampi stepped well is listed in world heritage list by UNESCO. 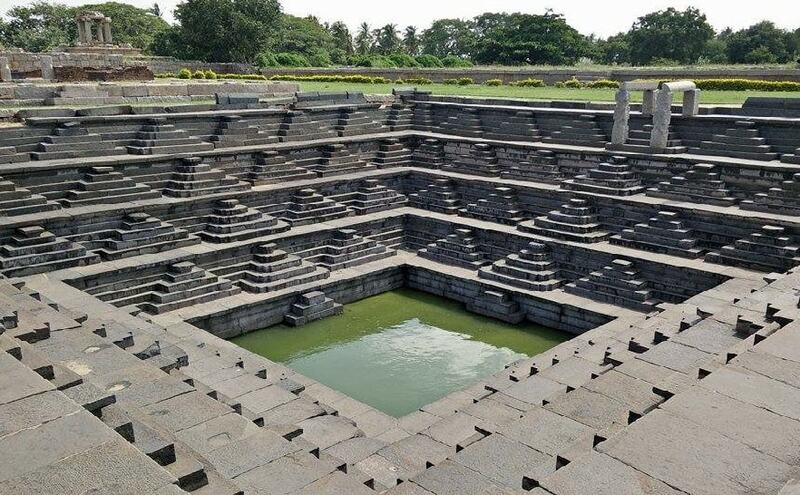 Built in 15th century, the step well of Hampi tells tales of the Vijaynagara dynasty. 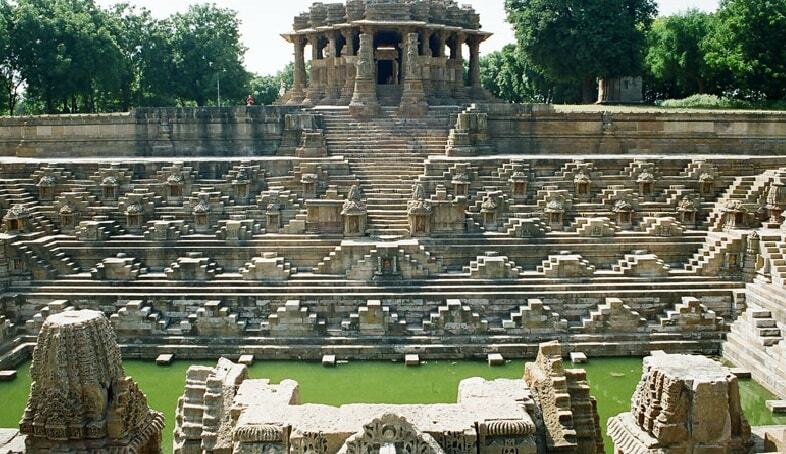 Hampi’s spectacular setting is influnced by river Tungabhadra and rock bound hill ranges. 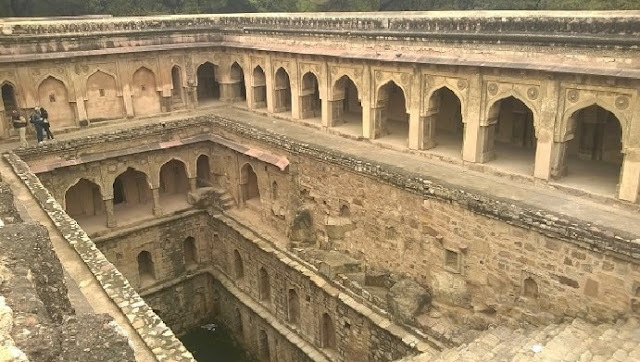 The unique feature of the stepwell is that the water in it was filled by aqueducts. 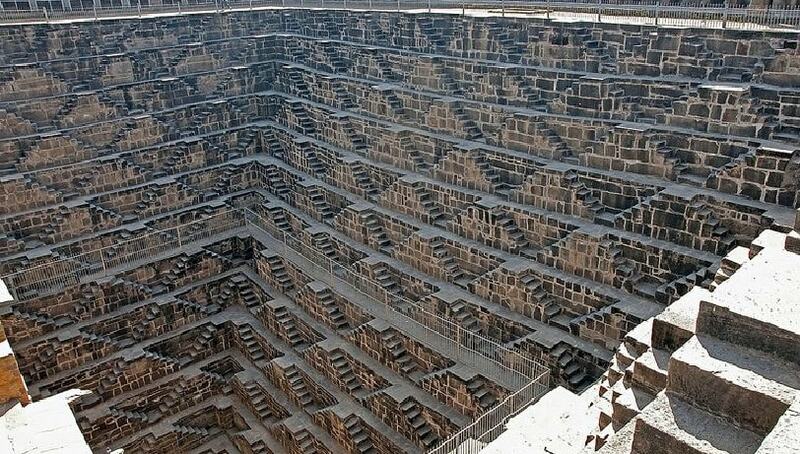 The Pushkarini is perfectly geometric, devoid of any elaborate cravings. Archeologists found pieces of it and then restored it by fragmenting it in different section of division in the form of stepwell. 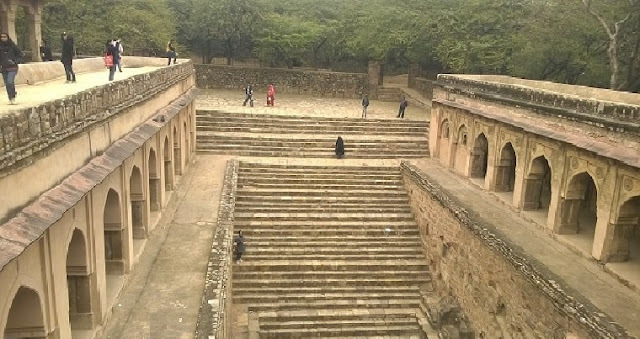 The Rajon ki Bawdi located in the Mehrauli Archaeological Park in New Delhi, this is more of a proof of the erratic monsoons and need for water conservation in Northern areas. The name Rajon ki Bawdi is given to it not after Kings but because of masons. Why it was named after masons is yet to be known, as there are many stories. 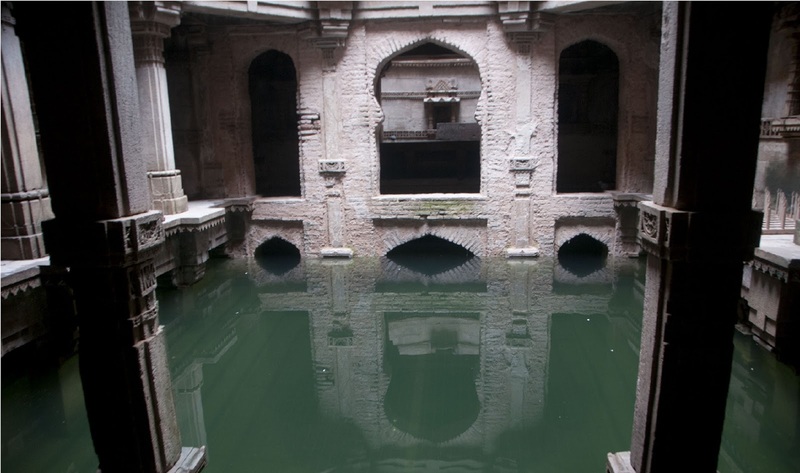 Supposedly built in 1516 by Daulat Khan and reconstructed in the 20th centaury, the stepwell is having huge construction in terms of scale and architecture. There is a small mosque that is right next to it. In the city Farrukhnagar, which is in district- Gurgaon an old baoli or stepwell was built by Ghaus Ali Shah, a local chief during the reign of Mughal Emperor Farrukh Siyar. It is made out of stone, lime plaster and bricks, this baoli exihibit the similarity with the Turkish hammam. The water tank in inside is surrounded by a verandah with well-framed arches on all sides. 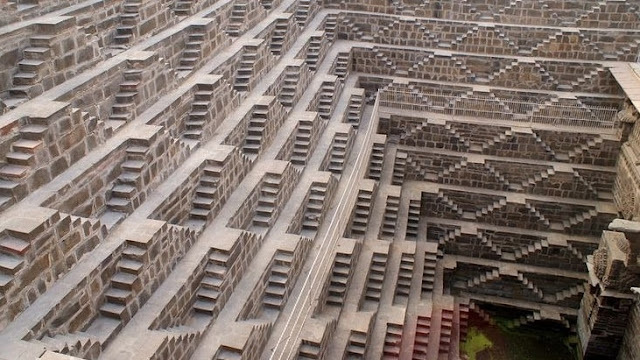 There are also chambers for relaxation and recreation on the upward part, it is one of the deepest and largest step wells in India. Each one of us would be aware of this name. 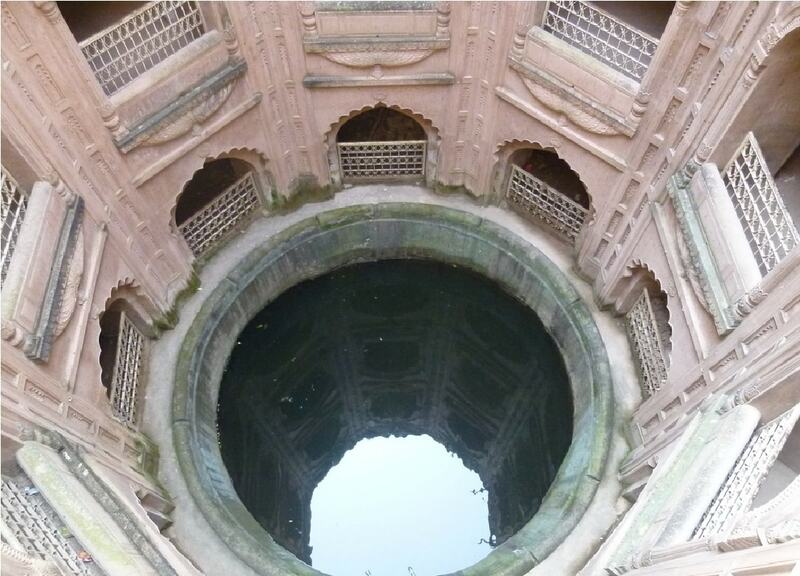 this Shahi Bawdi was constructed in order to be used as a water reservoir. Entrance to the Shahi Bawdi is a double-arched gateway. 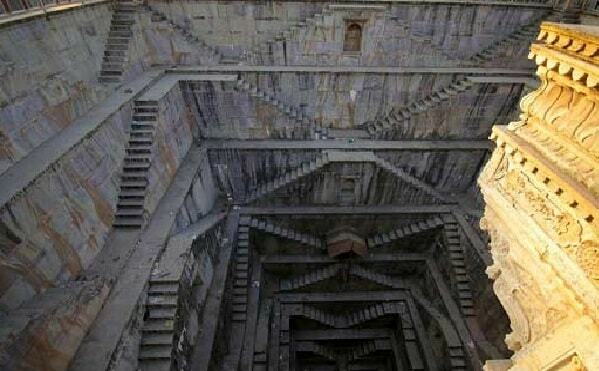 Myths like the water of this well being connected to the river flowing nearby or a secret treasure map and the key to the treasure being thrown into this well have been quite popular widespread. Bawdi is extensively popular for it’s exceptional architectural design. Nawab Asif-ul-daula got the design of this bawdi drafted by Kifayat-ullah, who was one of the most skilful architects of those times. The Shahi Bawdi was built along with the other units of the Bada Imambara in order to provide food and work to the famine-stricken natives of Awadh. 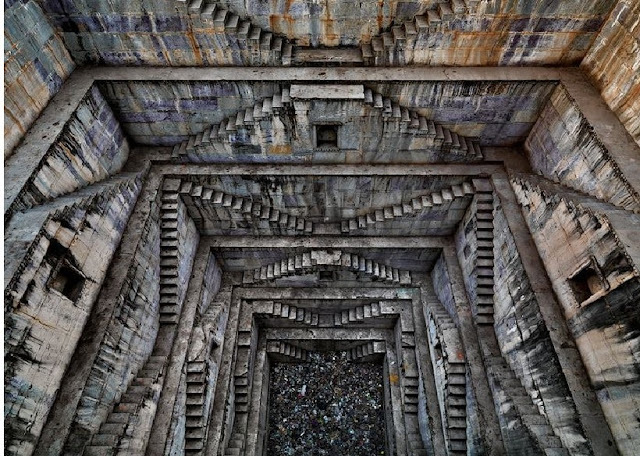 This is the masterpiece art of the stepwells that carefully preserves a number of shrines, each holding the image of the deity of various Modha Community where they used to worship the deity with the whole family in resemblance of a self-contained universe. Thousands of people from India and abroad visit the place in every couple of second. 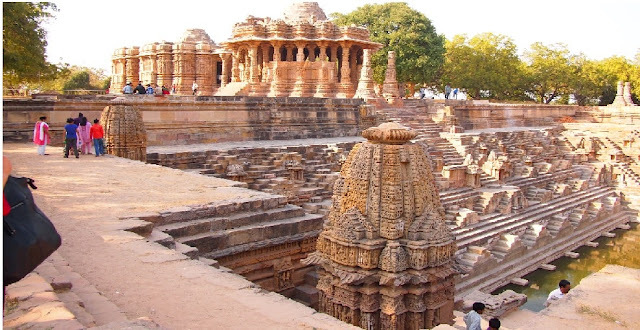 It is etched with pictures from the Mahabharata. On its outside walls are some representations of amorous couples similar to that at Konark. Look out for the most striking of these shrines which shows Lord Vishnu reclining on a coiled serpent. Here, the visitors would have to step from terrace to terrace in order to reach the base. 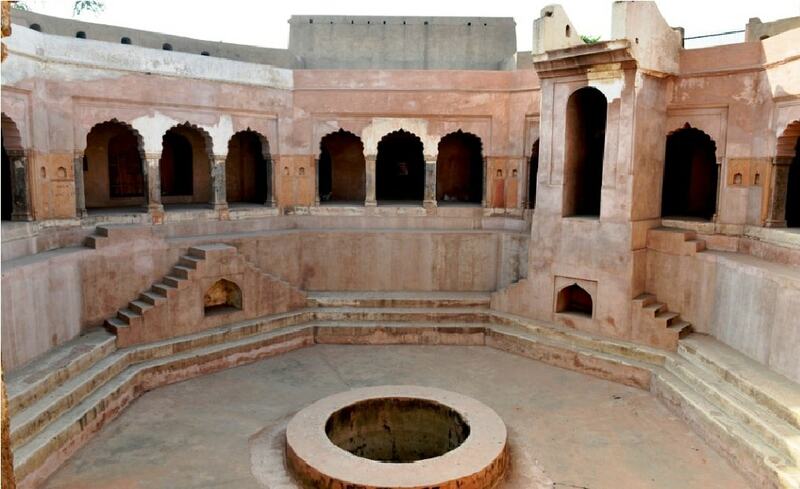 In the quiet neighborhood of Asarwa village, you will spot Dada Harir Vav. At ground level one can not get deeper view , but as you step up to the top of the stairs, and the multistories of stepwell deep with octagonal subterranean pools, there one can see an outpouring amount of stairs and columns plunging down, with shafts of light falling on beautiful carvings and birds and bats flitting in and out of the shadowy corners. The stepwell was made around 500 years ago by Sultan Bai Harir, this stepwell is like others around Gujarat, with elaborate craftsmanship and construction built underground to provide access to a long-lasting source of water. On the walls, as you descend, you will find carvings of all type, including some in Sanskrit as well as in Arabic script. When your destination is the journey itself, you will come across places which are known as eccentric. These places are have its own history and presents a countryside to which even most of the extolled travelers have no clue. To preserve the water exquisite arrangements have been made in India since ages, most common of which has been Bawdis or step wells. 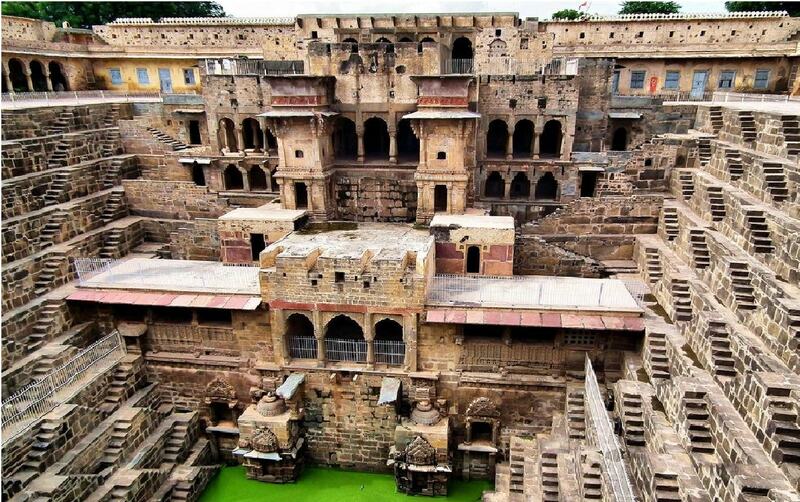 Call them vavs or Bawdis, these stepwells will definitely dazzle you with their out-and-out, in history and elegance of this stepwell will hover in present. 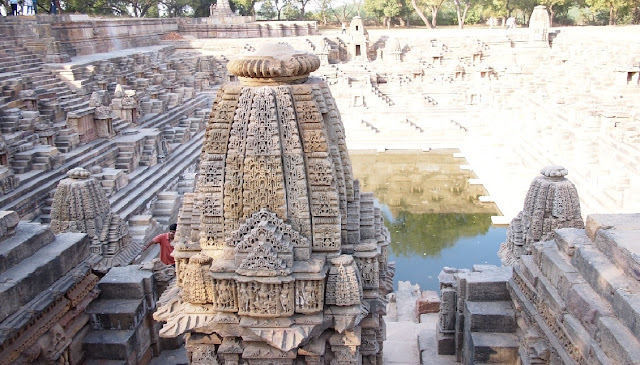 Let your imagination get enhanced and visit these places to understand how India looked in the past for these pieces of art in form of preserving water.